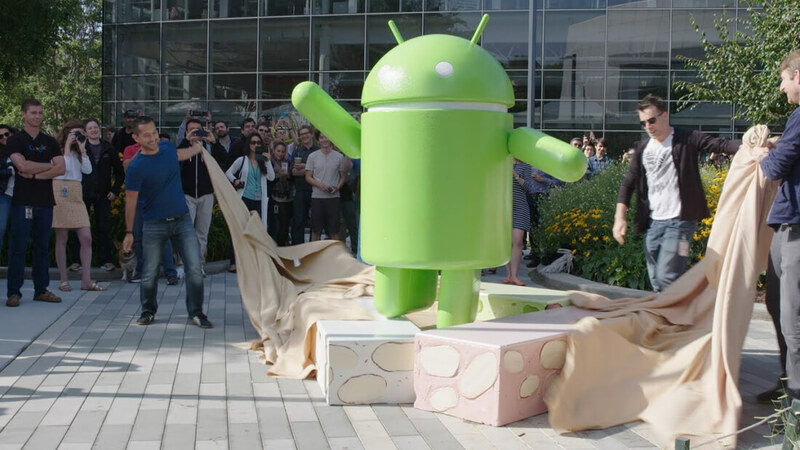 Google has begun rolling out the Android 7.1 Developer Preview to anyone enrolled in the Android Beta program with a Nexus 5X, Nexus 6P or Pixel C convertible tablet. The company says it will be extending the preview to other devices ─ presumably the Nexus 6 and Nexus 9 ─ in November, with the final public release to follow later that month. The company already showed off some of 7.1’s features when it announced its Pixel phones earlier this month. Some of the Pixels’ best features will remain exclusive to those new phones. Everyone else can look forward to App Shortcuts, support for circular home screen icons, image keyboards, and more. App shortcuts is Google’s answer to 3D Touch on Apple’s iOS devices, allowing you to long-press on an app icon from the luncher or app drawer, with a list of specific actions popping up so you can jump to a specific part of the app. Unlike 3D Touch on the iPhone, the long press trigger means there is no way to move an icon without first showing the shortcuts. Actions can also be dragged out as individual home screen icons for quicker access. For now only first party apps from Google support the functionality, but with the 7.1 Preview out developers can begin building and testing shortcuts in their own apps. Android 7.1 also features reworked Quick Settings that now shows a Settings shortcut and next to it a button that slides down the full panel. There’s also a support tab under settings, support for a double-twist gesture to switch in and out of selfie mode in Google Camera, the ability for keyboard apps to now feature stickers, animated GIFs and other images. If you have one of the supported devices and are enrolled to the Android Beta program, you should be receiving a notification to update at any moment.